Thirthahalli is a small town located in the district of Shimoga in Karnataka. Enclosed by dense forests of Western Ghats, Thirthahalli is situated at a height of 591 metres above the sea level. 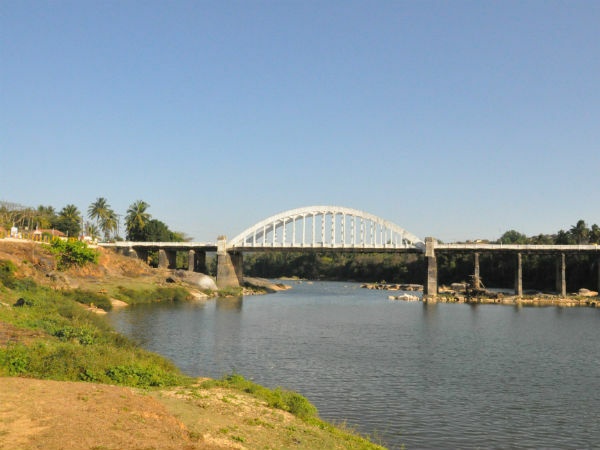 It is situated on the banks of river Tunga. Thirthahalli is also known as Parashurama Thirtha or Rama Thirtha. Legend has it that, it is exactly at this place that the sage Jamadagni ordered his son Parashurama to axe off his mother Renuka Devi's head. Parashurama did the deed, but the bloody stain from the axe refused to leave. He tried dipping the axe in all the rivers, but a sesame-sized stain remained. Then, he dipped the axe in river Tunga and the blood stains completely vanished. Hence, this place came to be known as Thirthahalli. It is a local belief that a dip in the river Tunga at Thirthahalli will relieve one of all sins. The best time to visit Thirthahalli is from November to February. Summers are from March to May, and it can get brutally hot. Monsoons are not ideal to visit because the rain might interfere in your plans. How To Get To Thirthahalli? By Air: Mangalore International Airport, at a distance of 122 km is the closest airport to Thirthahalli. Although Shimoga has its own airport, it is still under construction. By Train: The closest railway station to Thirthahalli is at Shimoga. Many trains ply from Bangalore to Shimoga everyday. Thirthahalli is about 65 km from Shimoga Railway Station. By Road: There are three routes to get to Thirthahalli from Bangalore. Route 1: Bangalore - Kunigal - Kadur - Thirthahalli via Bangalore - Honnavar Road. This takes around 6 h 46 min to reach from Bangalore. This is around a distance of 328 km. Route 2: Bangalore - Tumkur - Tarikere - Thirthahalli via NH 48 and SH 24. This covers a distance of 347 km and takes 6 h 48 min to reach. Route 3: Bangalore - Mandya - Channarayapattna - Kadur- Thirthahalli. This route traverses via Bangalore- Shimoga road. The distance between Bangalore and Thirthahalli on this route is 390 km and takes a whopping 8 h to reach. Route 1 is recommended, time and distance considered. Not to forget, the roads are better on this route as well. An early start from Bangalore is endorsed strongly as the chances of getting stuck up in a traffic is less. There are many small hotels/ darshinis on the way that serve amazing quintessential Bangalore breakfast. Next on the route is Kunigal, at a distance of 70 km from Bangalore. In about 1h 15 min, you will reach Kunigal. Located in Tumkur district, Kunigal is known for its lake aka Kunigal Kere. It is worthwhile to take the time out to visit the lake. Kunigal Stud Farm is very famous and interesting for someone who likes horses. It was built by Hyder Ali and is now leased by Vijay Mallya to breed his horses. Someshwara temple, Venkata Ramana Temple, Narasimha Temple, Padmeshwara Temple, Shivarameshwara Temple are some of the temples in Kunigal that warrant a visit. Marconahalli Dam is built on river Shimsha and provides irrigation to the neighbouring villages. Huthridurga Betta is an attraction that has a mention in the history. Around 149 km away from Kunigal is Kadur. There's nothing much to see here except for temples. Dandigekalu Ranganatha Swamy temple, Channakeshava Temple, Keechakana Gudda temple are some of the must-visit temples in Kadur. Tiptur which is along the way is known as Coconut Central of Karnataka. This place is known for its coconuts- both dry and fresh. The community here is involved in large scale production of coconut. Thirthahalli is 114 km away from Kadur. The approximate time taken is 2 h 22 min to reach Thirthahalli. Here are the places to see in and around when you finally reach Thirthahalli. Located on the banks of Tunga, this temple is related to the Parashurama story. Sri Rameshwara temple is near Parashurama Thirtha. The Shiva Lingam in this temple is said to have been installed by Lord Parashurama himself. Yellu Amavasya Day is celebrated in a grand scale in Thirthahalli. This is the day when Parashurama cleaned his axe in Tunga to get rid of the sesame-sized blood stain. There is also a fair/ jathre conducted during this time. Mrugavadhe in Thirthahalli taluk dates back to Ramayana. This is where Lord Rama killed a deer on the request of his wife, Goddess Sita. Mruga means animal and vadhe means kill in Kannada. The name of the place is quite the literal translation. The birthplace of Mahakavi Kuvempu, Kuppalli is 18 km from Thirthahalli. This Jnanapith awardee has Kavishaila and Kavimane in dedication to him. His childhood home at Kuppalli has now been converted into a museum. Kavishaila is a place which looks like Stonehenge of England. It is said that his mortal remains are placed here. Often called as Cherrapunji of South India, Agumbe is a scenic place full of bio-diversity. It is called Hasiru Honnu (green gold) because it is home to some of the precious medicinal plants like Garcinia, Listsae, Eugenia etc. Agumbe is also a favourite destination for trekkers. Chibbalagudde is famous for Sri Siddhi Vinayaka Temple, dedicated to Lord Ganesha. Matsyadhama, which is also in Chibbalagudde, has a lot of fish. It is sure to delight the children. You can carry some puffed rice to feed the fish. Situated between Thirthahalli and Agumbe, Kundadri hills has a beautiful pond and a Jain temple, in honour of Kundakunda Acharya. The prominent deity is Parshwantha, the 23rd Thirthankara. A 9th century fort, 18 km away from Thirthahalli, Kaveladurga fort is built on a hillock. It was renovated in the 14th century by Cheluvarangappa. There is a temple called Srikanthesvara Temple situated atop the hill, dedicated to Lord Srikanthesvara.